Amalia draws from a vast bank of experience and shamanic focused earth wisdom to assist you in untangling your mind, releasing the blockages and getting you back on track with your internal spirit and with the spirit of the greater whole. Her focus is in helping you get grounded in your body and centered in your mind and heart, enabling you to feel calm, reduce stress and anxiety, be more grounded and in charge of your life. As an Empath, Clairsentient and Claircognizant, Amalia utilizes her deeper intuition to draw upon the vast bank of modalities she offers to restore the balance of body, mind and spirit. Reaching deep into the interiors of the mind and psyche to relive the sweetness and innocence of simplicity of the heart. It is the core issues that are hidden deep in the psyche that are of greater interest to me. Those repeating issues that resurface, those "glitches" that make you feel like you are living a groundhogs day. Through a blend of healing modalities such as breath, quantum touch, movement, emotional regression, re-tracking, re-patterning, grounding, and healing visualization, we go straight to the heart of the matter to support your mind body spirit integration. I also love to design custom Holistic Healing Retreats, Retreat Getaways, and Shamanic Retreats in Sedona for you (click HERE for more info) that integrates Shamanic Wisdom in the healing of you body mind spirit. Allow Amalia to introduce you to your inner child that has been kept hidden in the dark recesses of your psyche. The inner child has a fortune of wisdom, innocence and creative wonder that you can re-integrate into your adult life. Embracing those parts of yourself you have felt unacceptable, allows for new levels of safety and trust, enabling the sense of wonder and creative inspiration. By loving what you have deemed unlovable, the miracle of healing occurs. Return to your innocence of your inner child and look through the eyes of wonder. Helping you get out of the duality of the mind, of the 'right & wrong' of the 'good & bad' and into the centering of your heart and groundedness of your body. Amalia has a way of witnessing how your body expressions "tell the truth". The mind will argue, lie, and cheat, but the body is pure in its expression of truth. She will catch the truth quickly and succinctly and bring it to the foreground of your awareness that cuts to the core of the issue. Conflict resolution is one of Amalia's forte's, bringing a positive solution and resolution for the empowerment of your self and or your partner and family. “Thank you again for being part of my spirit adventure. My session with you and our conversation gave me exactly what I needed with regard to home and marriage. Let me guide your journey through the chakras using sound healing, wisdom visualization, body soma chakra tuning forks, aromatic oils, and crystals. I incorporate the wisdom of Earth and correlate this wisdom to the chakra system of the body as an evolving pathway in increasing the chi flow of abundance and manifestation. You will learn about the chakras and how they can help you. Encode your chakras with your healing prayers. Free the emotional blocked energy in the chakras. Feel balanced and aligned in your body. Get back on track with the vision and purpose of your life. 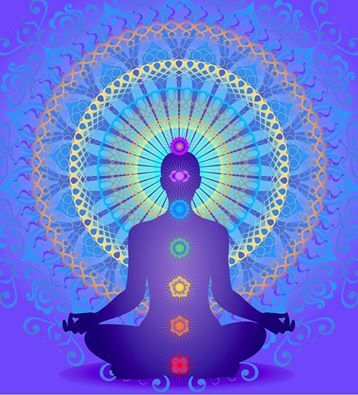 Having your chakras balanced and cleared allows you to stand in your clarity, with ease and in alignment with your spiritual consciousness.